With my BEA trip this week, I didn’t end up writing one of these last week even though I bought a couple of books and had a couple of review copies. This week is dedicated to BEA books, but next week I will be back on schedule and will get caught up with the few I missed. Compared to other BEAs, I didn’t get a lot of books, but I didn’t miss too many of the ones I really wanted to get. There were a couple I wanted to get but didn’t get to in time or missed because of other signings (like The Turning by Francine Prose, Adaptation by Malinda Lo, and For Darkness Shows the Stars by Diana Peterfreund). But I had the best time I’ve ever had at BEA this year and I think that’s because I ended up just talking with people quite a bit instead of just wandering around looking for books. After all, I can always buy the book later if I really want it, but I don’t know when I’ll get the opportunity to talk to some of the people who are at BEA again. Anyway, on to the books, and I’ll write more about BEA itself later. This sequel to The Girl Who Circumnavigated Fairyland in a Ship of Her Own Making will be released in hardcover and audiobook on October 2. I haven’t read the first book yet so normally I wouldn’t have picked up the second one, but since Catherynne M. Valente is an author whose work I already love this was one of my must-get books of BEA. The first book is supposed to be amazing, and I love what Catherynne Valente had to say about the criticism that these middle grade books are “too smart for kids.” She also wrote a great article on Tor.com about the second Fairyland book and how writing it differed from the first one, a serialized novel she put up online. 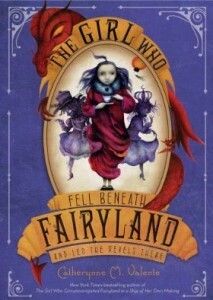 The Girl Who Circumnavigated Fairyland in a Ship of Her Own Making is a New York Times Children’s Bestseller, the winner of the Andre Norton Award, and a Publishers Weekly Best Book of 2011. This debut dark urban fantasy novel is coming from 47North (Amazon’s relatively new science fiction, fantasy, and horror imprint) on July 10. It will be available in trade paperback, ebook, and audiobook. 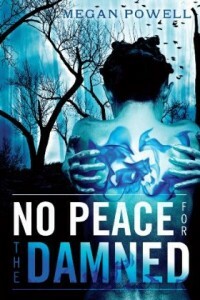 A second book, No Rest for the Damned, will be released in winter 2012. I like dark books so I was very interested in this, particularly given that I like to read some new-to-me authors (which I haven’t been doing enough of lately since so many authors I love have had new books out). There is quite a bit of buzz surrounding this title, which is being compared to Game of Thrones and The Hunger Games (yeah, I know). I got to this signing 25 minutes early and still waited in line for over an hour. Throne of Glass will be released in hardcover and ebook formats on August 7. I saw on Twitter that Sarah J. Maas is working on book 2 and is hoping the series will be longer than a trilogy. There are 4 Throne of Glass novellas being released as ebooks before publication. 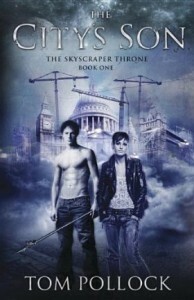 According to the page about the novellas, they “form the arc of how Celaena Sardothien, the heroine of ToG, went from the world’s most feared assassin to being thrown into the Salt Mines of Endovier.” The first three novellas (The Assassin and the Pirate Lord, The Assassin and the Desert, The Assassin and the Underworld) can be downloaded from Amazon, Barnes and Noble, or Kobo for 99 cents each. The Assassin and the Empire, the final novella, must be coming out fairly soon since the book will be out in less than 2 months, but it doesn’t have a date. I was really intrigued to see in “The Story Behind the Story” section on this page that this book started as a Cinderella retelling. Maas describes the premise as “What if Cinderella was an assassin, and went to the ball not to dance with the prince, but to kill him?” She says it has since moved away from being a Cinderella story, although the influence can still be found in a few places. 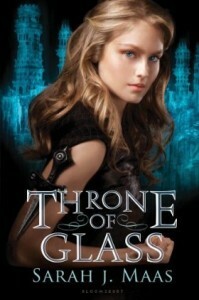 The first couple of chapters from Throne of Glass can be read at Page-Turner. A cautionary tale about the perils of fertility treatments turns into a gore fest for the strong of stomach. The City’s Son is the first book of The Skyscraper Throne: a story about family,friends and monsters, and how you can’t always tell which is which. 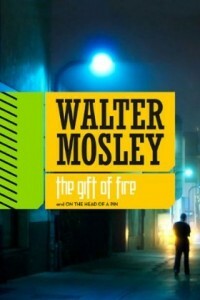 This sounded like an interesting book, and I was especially curious after hearing what Walter Mosley had to say in the Science Fiction in the Mainstream panel at BEA. It just came out last month and is available in hardcover, ebook, and audiobook. The hardcover is a neat book. It’s two books in one with a cover for each book. If you flip it over, you can start reading the second book, and the author signed the title page for each at the signing. 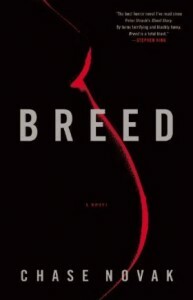 An excerpt from each can be read on Tor.com. New York Times bestselling author Walter Mosley delivers two speculative tales, in one volume, of everyday people exposed to life-altering truths. In ancient mythology, the Titan Prometheus was punished by the gods for bringing man the gift of fire—an event that set humankind on its course of knowledge. As punishment for making man as powerful as gods, Prometheus was bound to a rock; every day his immortal body was devoured by a giant eagle. But in The Gift of Fire, those chains cease to be, and the great champion of man walks from that immortal prison into present-day South Central Los Angeles. Joshua Winterland and Ana Fried are working at Jennings-Tremont Enterprises when they make the most important discovery in the history of this world—or possibly the next. JTE is developing advanced animatronics editing techniques to create high-end movies indistinguishable from live-action. Long dead stars can now share the screen with today’s A-list. But one night Joshua and Ana discover something lingering in the rendered footage…an entity that will lead them into a new age beyond the reality they have come to know. This sounds amazing, and Ann and Jeff VanderMeer were also at the aforementioned Science Fiction in the Mainstream panel at BEA (along with John Scalzi whose book I missed due to waiting in a long line). The Weird just came out last month and is available in hardcover, paperback, and ebook. The Weird is a massive book containing over 1000 pages of stories, plus a “foreweird” by Michael Moorcock and an “afterweird” by China Mieville. The earliest stories go as far back as the early 1900s and span the years through 2010. 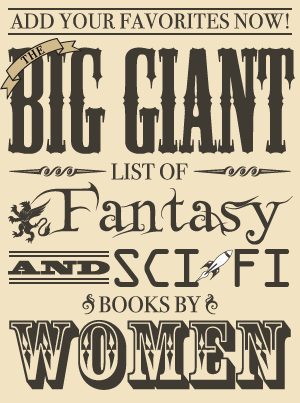 Authors include Lord Dunsany, Ray Bradbury, H. P. Lovecraft, Daphne du Maurier, Joanna Russ, James Tiptree, Jr., George R. R. Martin, Neil Gaiman, and Tanith Lee. That’s a very small sampling of the authors included since there are a lot! Unfortunately, I got caught in the rain after I got this one and my signed copy got some water damage. Oh well, it’s at least not so bad that I can’t read it. A landmark, eclectic, leviathan-sized anthology of fiction’s wilder, stranger, darker shores. From Lovecraft to Borges to Gaiman, a century of intrepid literary experimentation has created a corpus of dark and strange stories that transcend all known genre boundaries. Together these stories form The Weird and amongst its practitioners number some of the greatest names in twentieth and twenty-first century literature. Exotic and esoteric, The Weird plunges you into dark domains and brings you face to face with surreal monstrosities; you won’t find any elves or wizards here… but you will find the boldest and downright most peculiar stories from the last hundred years bound together in the biggest Weird collection ever assembled. 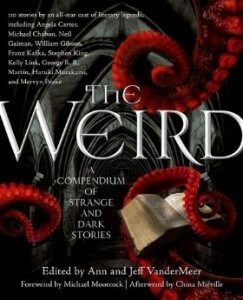 The Weird features an all star cast of authors, from classics to international bestsellers to Booker prize winners. Here are Ben Okri and George R.R. Martin, Angela Carter and Kelly Link, Franz Kafka and China Miéville, Clive Barker and Haruki Murakami, M.R. James and Neil Gaiman, Mervyn Peake and Michael Chabon, Stephen King and Daphne Du Maurier. As you may know, this is my favorite book I have read so far this year so I was thrilled for the chance to get a signed copy and meet the author (who was so very nice). This is going to be one of those books I treasure forever. Unfortunately, it’s another one of the books that got some of the worst of the water damage when I got stuck in the rain. I’ll probably never dare read this copy since the corner near the binding is yellowed and fraying and looks like it may fall apart, but at least seeing the signature will remind me of the great time I had meeting the author! That was definitely one of my highlights of BEA. 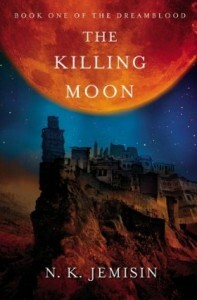 The Killing Moon is available now in paperback, ebook, and audiobook. The sequel, The Shadowed Sun, will be released next week. (I do want to note that there is no cliffhanger ending and the sequel has a different main character.) I haven’t read the sequel yet, but N. K. Jemisin read from it at the New York Public Library event I went to and it sounds fantastic. Flight Behavior will be released in hardcover, audiobook, and ebook in November. This book was given out at the adult author breakfast I attended. Stephen Colbert was the Master of Ceremonies, and Barbara Kingsolver was one of the authors who spoke along with Jo Nesbo and Junot Diaz. All the authors were great speakers, and I was very intrigued by what Barbara Kingsolver had to say. She was a scientist before she was a writer and this book is about climate change. 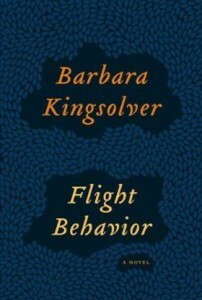 According to the back of the ARC I have, it “explores the complexities that lead us to believe in our chosen truths.” In her speech, Barbara Kingsolver discussed how the same people can look at the same facts but come to completely different conclusions. This fascinates me as well, so even though this isn’t the type of book I’d normally pick up, I am a bit curious. Set in a small town in Tennessee, about a young woman who happens upon a forested valley filled with silent red fire, and whose attempt to share the wonder and find an explanation throws her into a spiraling confrontation with her family, her church, her town, her continent, and finally the world at large.